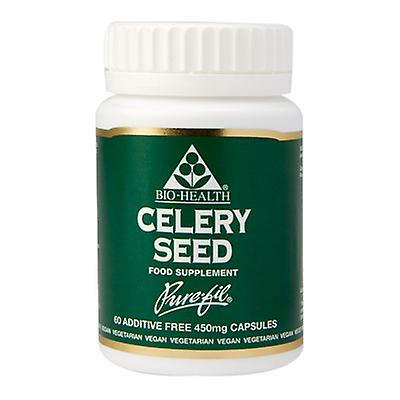 Celery seed is the dried, ripe fruit commonly referred to as “seeds”. It has a wide range of uses and a complex mixture of constituents that have been the subject of research. A marshland plant that grows best in damp places, Celery is native to Britain amongst other countries and is often found along the English and Welsh coasts. Grown throughout temperate regions of the world as a vegetable, the cultivated variety is less fragrant than in its wild state. The plant is harvested from June to October. Volatile oil (1.5-3%) - limonene (60-70%), B-selinene; coumarins; furanocoumarins - bergapten; flavonoids-apiin. Please check with a GP / doctor before use.